Vivitar launch HD digital video recorder new waterproof, named 690HD DVR with a specially designed casing waterproof to a depth of 10 meters. This camcorder has a fixed focus lens and supports video recording up to 1280 × 720 resolution at 25fps speed. Video format is stored in M-JPEG AVI. 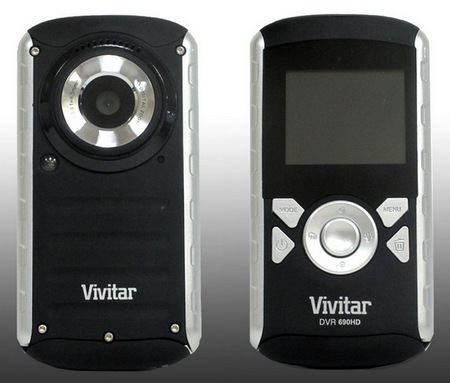 Vivitar DVR690HD has a 2-inch LCD screen and supports SD cards up to 32GB. Offers 4x digital zoom, TV out, built-in microphone and speaker. DVR690HD equipped with a Lithium Ion rechargeable. It is priced at $ 59.99.